I developed the following image by playing a HipBone game (Cameron, C, 1999) with concepts from my reflections of some of my key learning experiences. The board I used is called the Waterbird Board. You can read a nice intro to HipBone Games, including a cool sample game, learn a detailed history of the games, and view some additional sample games. Play a HipBone game with concepts you identify from your key learning experience reflections and see some of your connections in new ways! The content of any circle must have an identifiable connection to the content of each connected circle. Carefully fill each circle, one move at a time. You choose the order and the content. To create your own HipBone game, begin with a playing board. You can download a color or black and white image file for your game, save it in a graphic application like Google draw, and add your own text. Black and White Waterbird Board. You do not have to fill in the circles in the order in which they are numbered. The numbers simply help identify the circles. The following board shows the results of a game played by a group of ISSM students with CSUMB librarian Pam Baker. 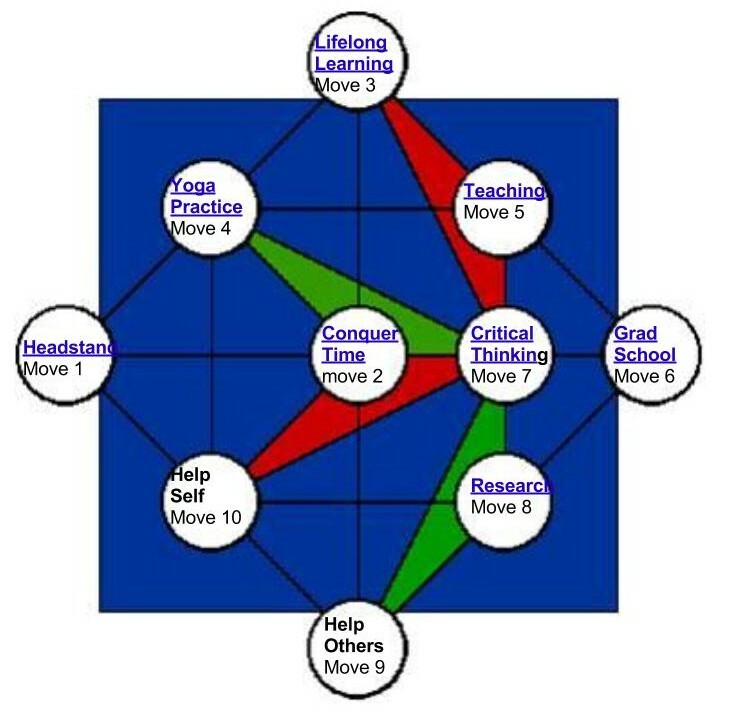 When you play, you’ll probably play alone with your concepts (but you could invite a friend to play with you, after sharing your concepts), but the goal is the same, that every “concept” played within a circle connects in some way, identifiable to you, to the concepts in all connected circles. 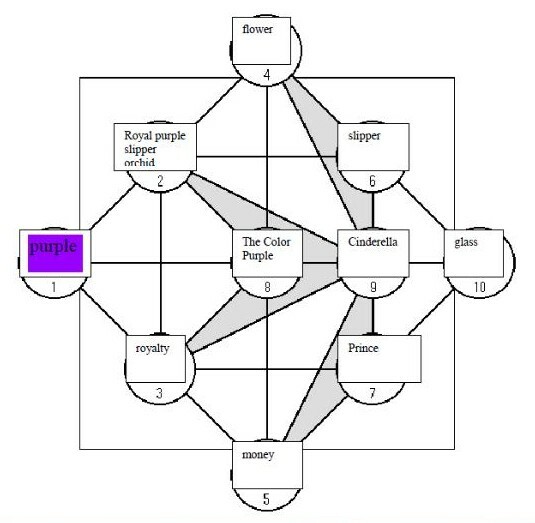 As you play, keep track of the order in which you fill your circles and the connections you’re attributing to each concept you put within each circle. Then, save your results along with a picture of your completed Waterbird Board. You’ll share these in your final post, putting your “collage” of connections together.